Otterbox has been around since 1996 making cases for gadgets of all sizes and shapes. 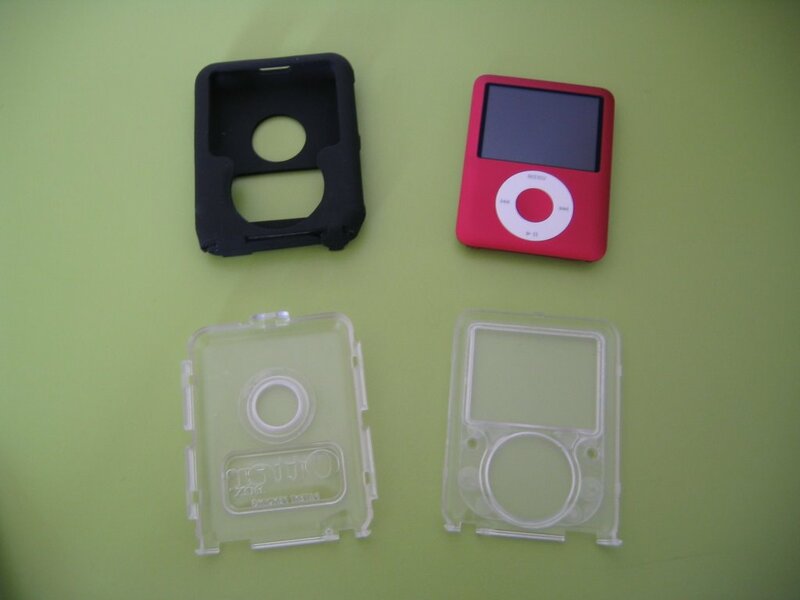 I was recently given a chance to take a look at a few products from them: the OtterBox for iPod nano 3rd generation Armor? and Defender? Series cases. 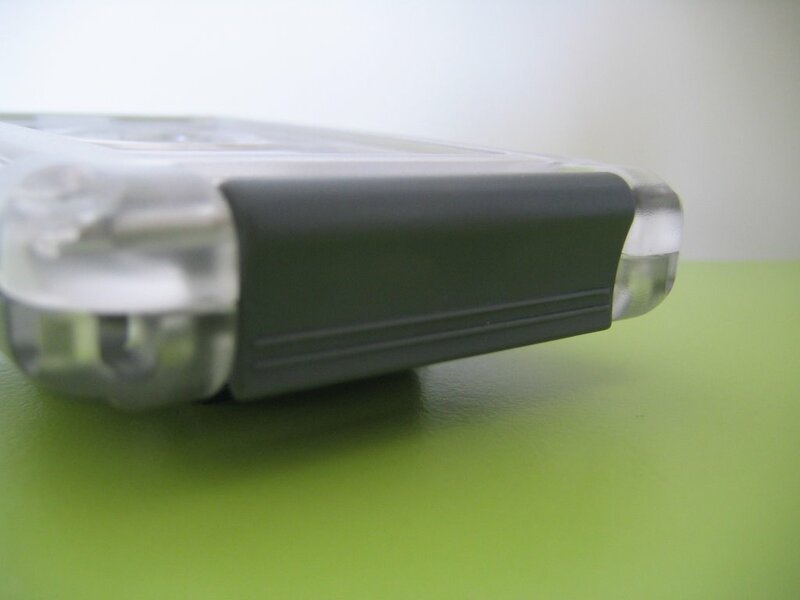 Our cases are dedicated to all the klutzy, spontaneous, chaotic, graceless individuals who have broken a device or valuable due to their active lifestyle. 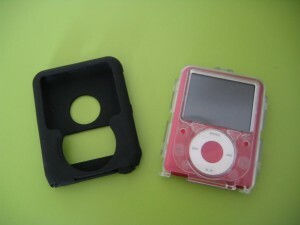 The Defender is a basic iPod case that completely wraps the Nano. The wheel is protected by the patented “thin membrane” technology, and the 3-layer system offers protection from bumps, shocks, and scratches. Though not designed to withstand full submersion under water, the Defender does offer basic levels of water-resistant protection. b) offers enough protection but adds too much bulk. 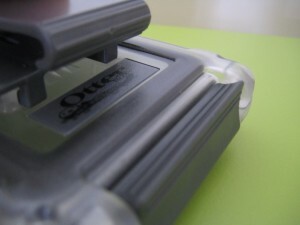 The folks at OtterBox however seem to have figured out the perfect formula in the Defender. 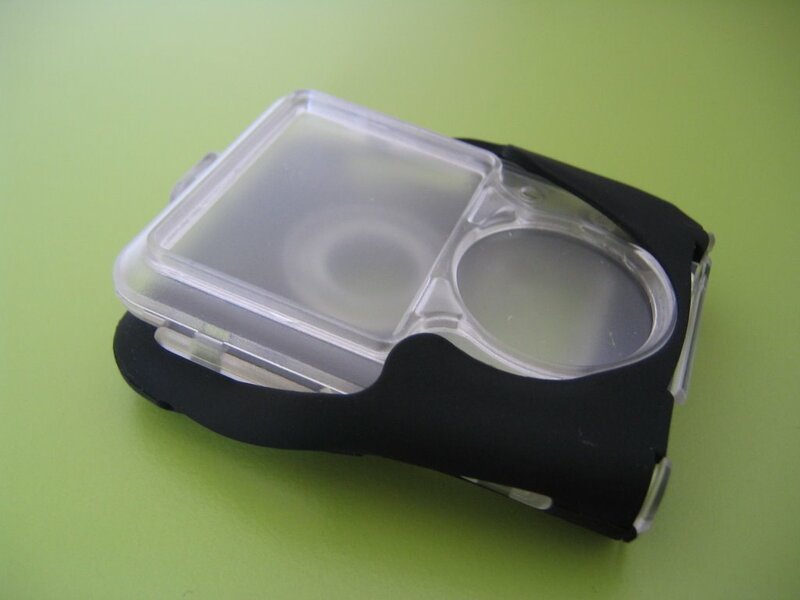 I don’t think there is another product on the market that offers such a perfect balance between design and protection while minimizing the amount of bulk and added weight to the Nano. The outer flexible casing surrounds the inner hard plastic for double protection. The LCD can be easily viewed through the casing – no contrast or brightness issues, even when used outdoors. The click wheel is easily accessible through the patented thin membrane and responds very well to button presses. If I must make just one complaint, it’s that the click wheel is almost too sensitive — minute movements of forward/backward sometimes results in more range than desired. 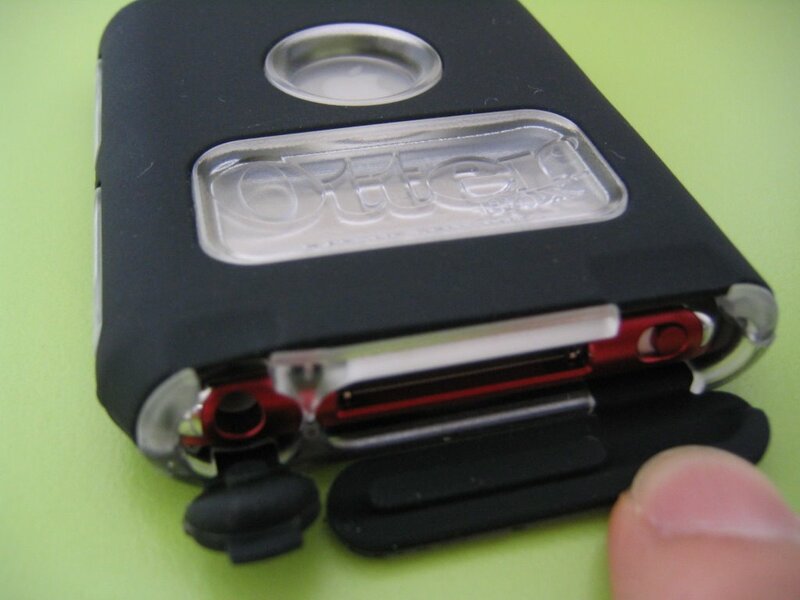 By purchasing an OtterBox for iPod? Nano 3rd Generation Defender? Series “Strength” case, 10% of the purchase price will be donated to the Avon Breast Cancer Crusade to support access to care and finding a cure for breast cancer, with a focus on the medically underserved. The first thing you notice about the Armor is its size: 3 times as heavy as the Defender and much larger in size (see picture at left), the Armor serves a very niche market. 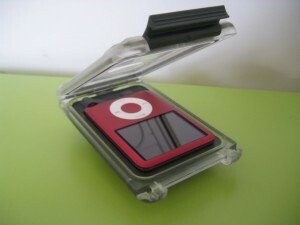 Fully water-proof and drop-proof, it is aimed at the iPod users who require absolutely the ultimate in protection. 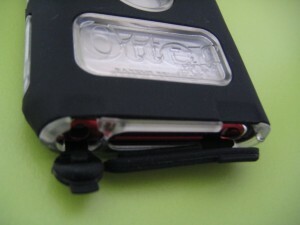 By default, attached on the back of the Armor is a belt clip locked in by a spring mechanism. 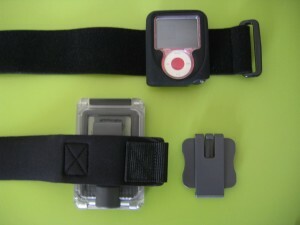 With a quick flick it comes off easily for other attachments like the sport armband that we will see later. 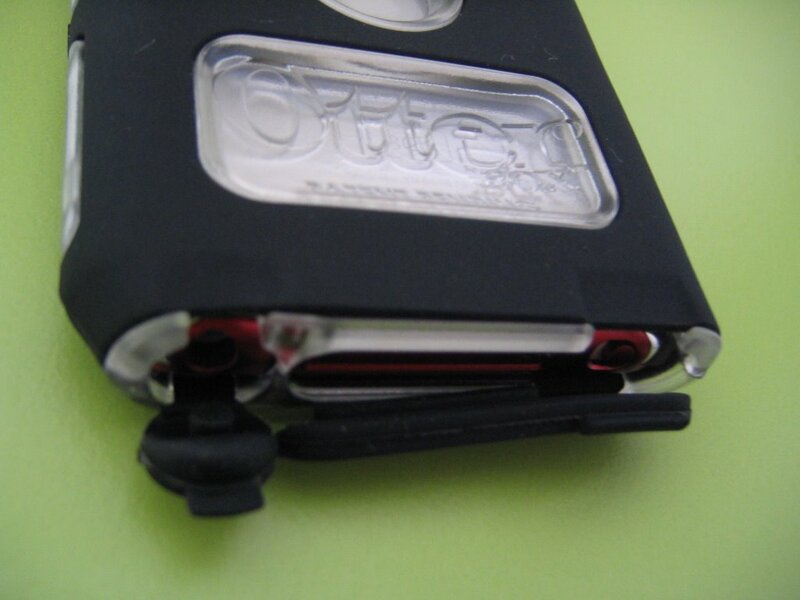 That is not to say that the clip will fall off easily though – rest assured it’s very secure. 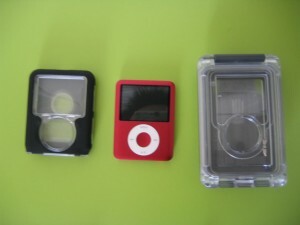 The Nano slides easily into the case, attaching to the 3.5mm plug and is surrounded by firm plastic on all sides. This effectively locks it in place and eliminates any form of potential movement inside the case, making your Nano completely drop-proof. 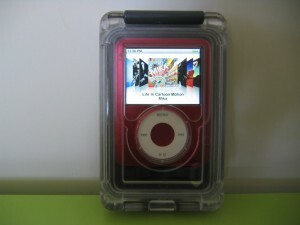 1) You cannot access the lock button nor the sync connector on the iPod from outside the case. 2) The Armor is waterproof tested to 3 feet (1 meter). You cannot use it for scuba diving! It’s like having your own personal orchestra…UNDER WATER. That’s right, these waterproof headphones offer a patented design combining comfort along with superior sound quality. The high fidelity waterproof speakers have a form fitting Silicone earpiece for individual adjustment, and are designed for complete submersion (up to 3 feet when combined with an OtterBox for iPod?). 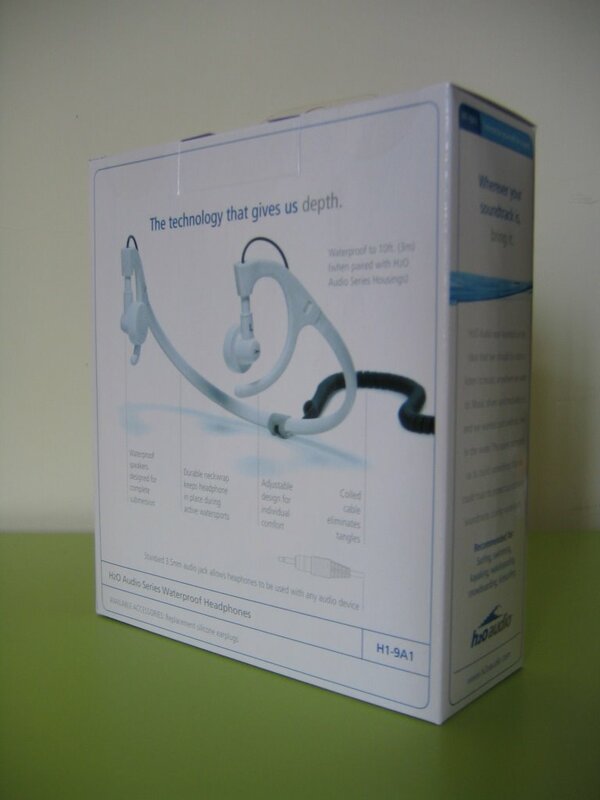 The durable neckband holds the headphones in place through rigorous activity in water or snow, while the innovative coiled cable eliminates annoying tangles. These are perfect for lap swimming, skiing, wakeboarding, biking, camping, a day at the beach and more! I tested these headphones in the shower together with the Armor case, and the results were positively surprising in the sense that it was a completely new experience. Ideally I would have liked to have tested them in the pool or by the beach. I might actually get a chance to do so this summer, so I will update if/when appropriate. The headphones are worn “behind the head” to allow for the most secure attachment even during rigorous sporting activities. 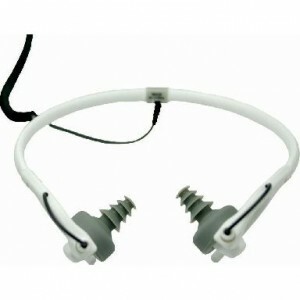 They are easily adjustable to fit ears/heads of different shapes and sizes. They are not the most comfortable headphones around, but comfort underwater was never intended to be the main selling point anyway. Included also are two sets of silicon earplugs that fit over the speakers, to prevent water from flowing into your ear canal. 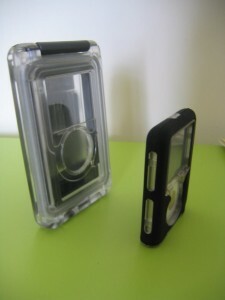 Last but not least, the generous Otterbox people sent armbands along with their Defender and Armor cases. 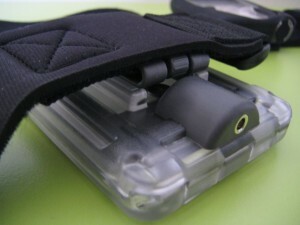 As you can see from the above picture, the Defender armband actually consists of a whole external silicone case which the entire Defender case is inserted into. 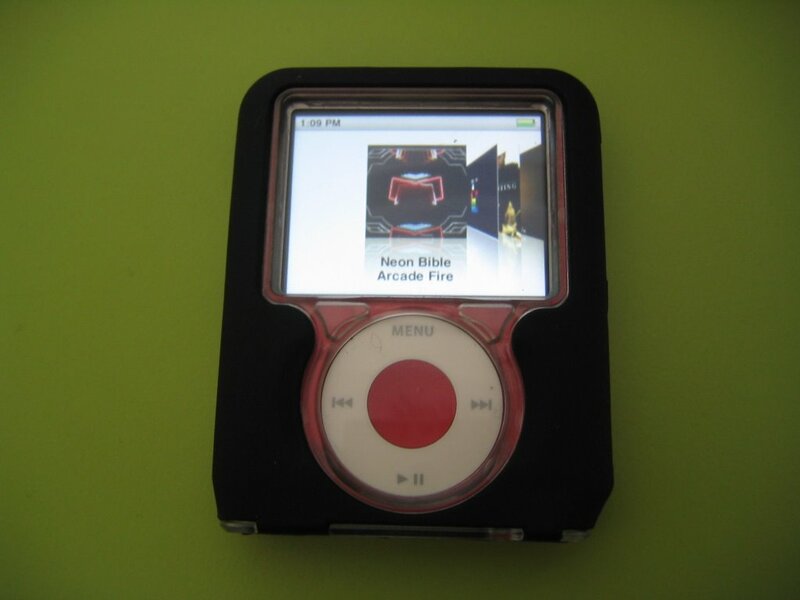 There’s a cutout at the bottom right to allow for the attachment of your headphones. So, to go running or your activity of choice, you simply plug the entire Defender case into the armband… and when finished, just pop it out. 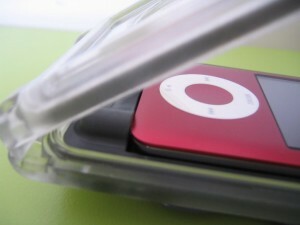 Very easy — and the most important part is that the iPod never leaves its protective enclosure, minimizing the chance for damage. 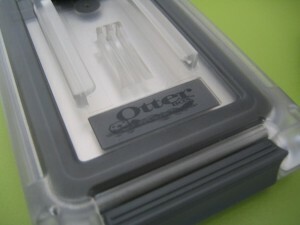 It was a pleasure reviewing these outstanding products from Otterbox. 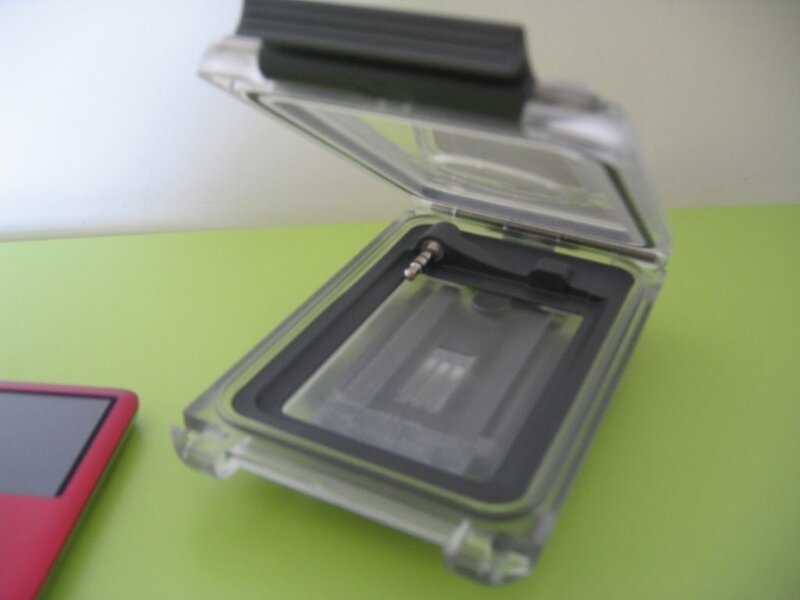 The Defender has become my main Nano 3G case of preference, chosen for its prefect balance of complete protection without unnecessary weight and bulk. 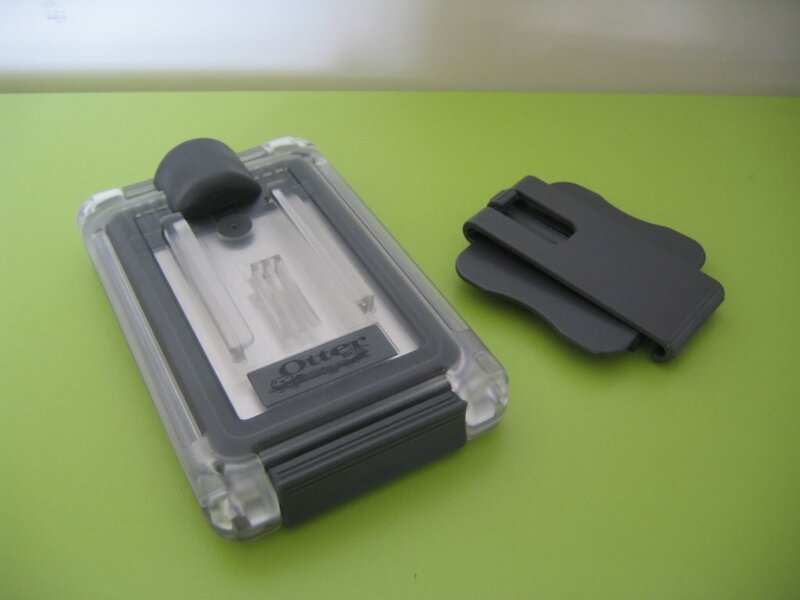 The Armor is the perfect case for those that require the ruggedness and 100% water proofing it provides. The applications of use are up to your imagination, whether you need to shoot assignments in Antartica or are an archaeologist who specialises in working underground. Backed with a fantastic lifetime warranty, there are really no risks in going with their high-quality, custom-built cases. 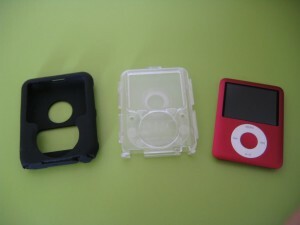 I wholeheartedly recommend these cases to anyone who is looking for a quality enclosure for their Apple iPod Nano 3G.